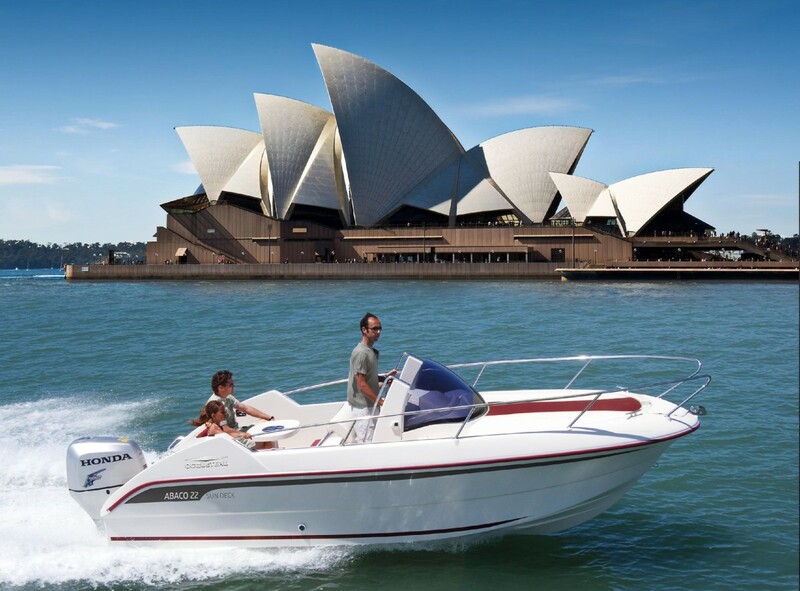 With 220 CV for 950 kg, the weigh/power ratio of this elegant open motorboat with sundeck is excellent and allows you to indulge in all water sports. 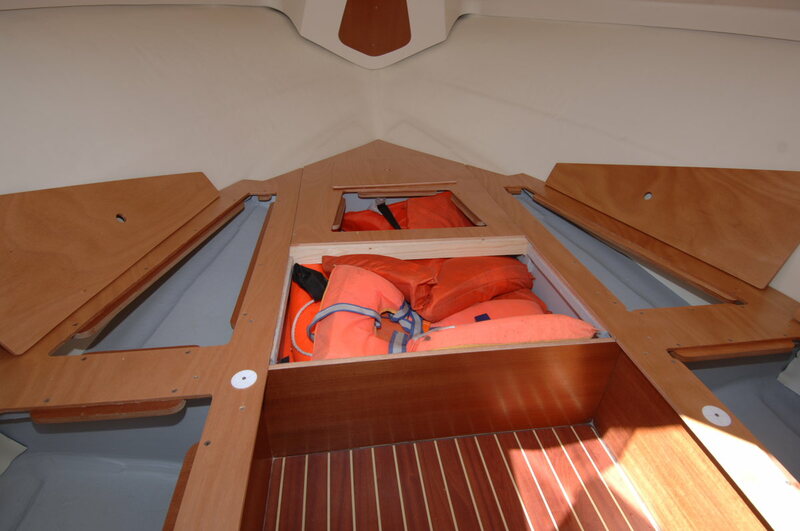 Its large sundeck at the font conceals a cabin for a nap, or why not, for a short trip. 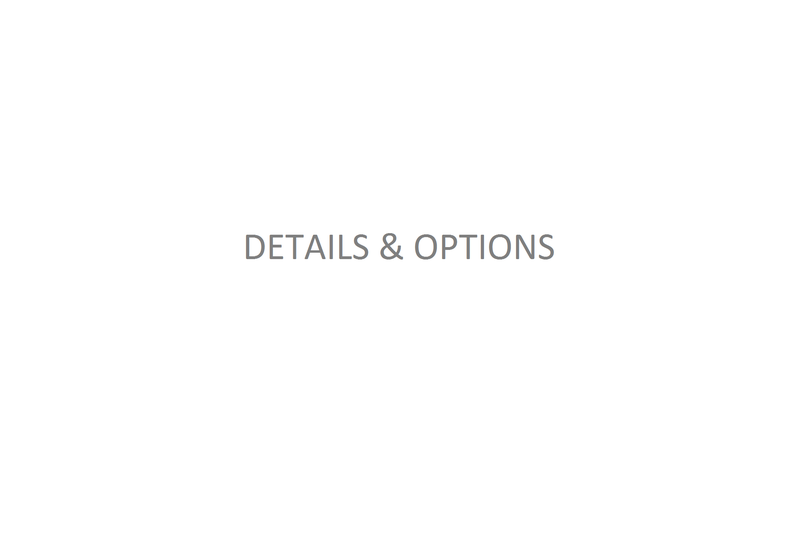 This array of possibilities is set within a beautifully designed presentation case. Just like JØrn Utzon's stamp and his opera house in Sydney. 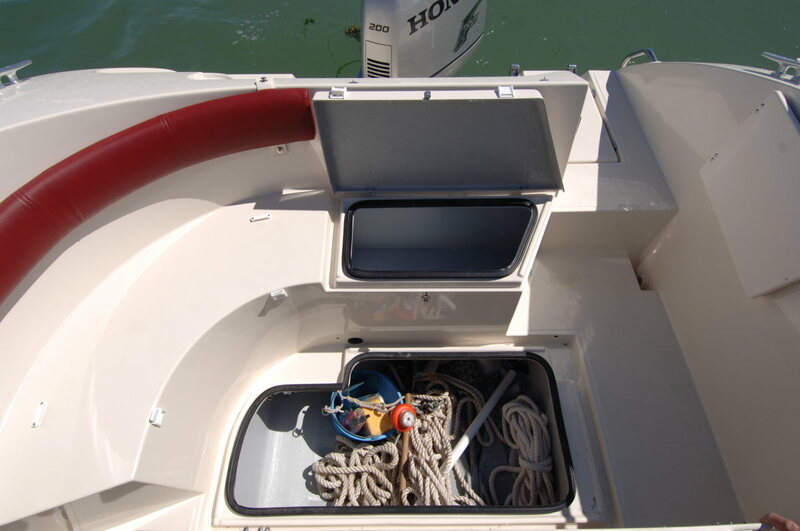 This powerboat is equiped with an IFH hull glass-wood-honeycomb sandwich vacuum infused, the same as that of the OSTREA 600. 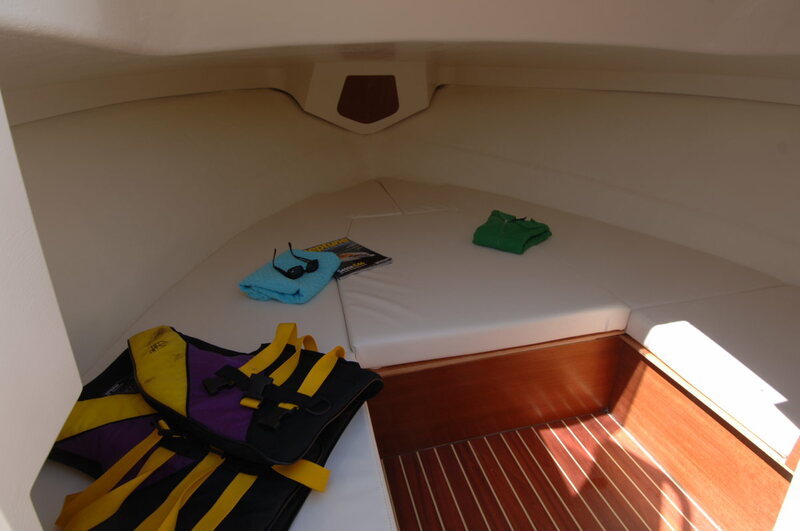 It offers to this sundeck-powerboat an incomparable strength and excellent seaworthiness by any sea, even at high speed. 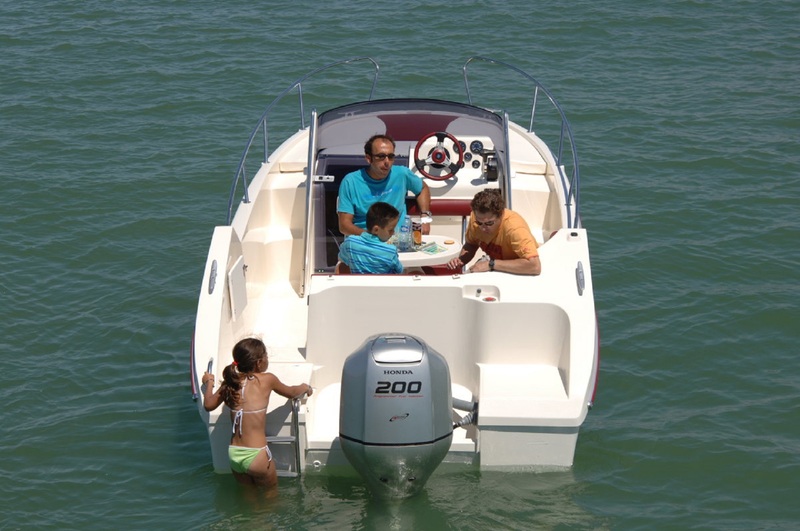 With a higher rigidity and a light displacement gain of over 20% compared to conventional hull, the IFH technology provides a performance and consuption gain equivalement to 50 HP gain of speed or saving in gasoine. 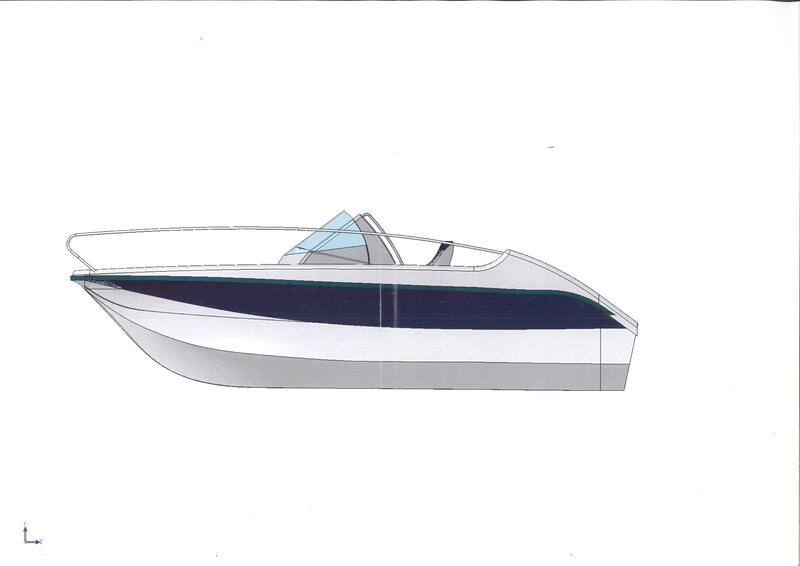 With the Abaco 22 Sun Deck, you will go faster, further, safely and comfortably. Example of performance measured by flat sea, alone on board without antifouling or optional equipment, engine SUZUKI DF200ATL propeller 19x20: 44knots.